– Tapas & Bars (the huertas street is one of the most famous in Madrid for bars). Life in the Cortes & Letras neighbourhood is traditional Madrid style – tapas with friends, then meeting with more friends in another bar, enjoying the fact of being close to everything to make the most out of all that Madrid center has to offer. I really recommend this neighbourhood to anyone who wants to enjoy Madrid, be right in the middle of things, but still in an authentic neighbourhood, with many bars, restaurants and a great nightlife. 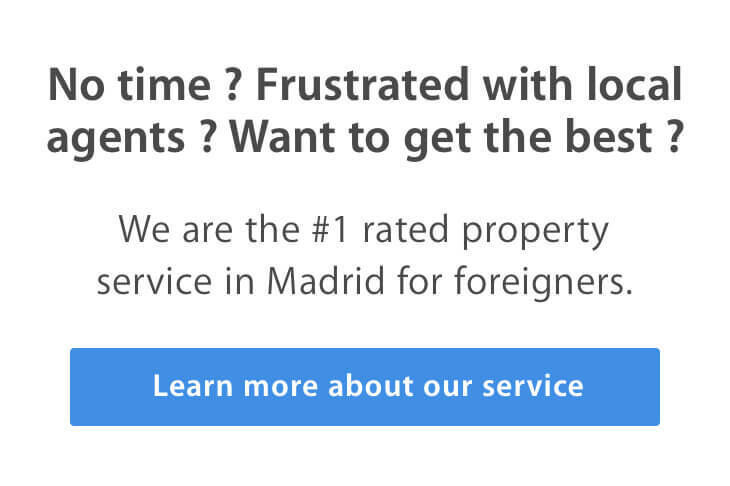 For renting and buying properties, Cortes & Letras is one of the most expensive neighbourhood in Madrid: the square meter is 15-17 € / m2 to rent, 3500 – 4500 € the m2 to purchase a property (see my cost of living in Madrid post). When flathunting in the Retiro neighbourhood, do check the quality of the flat and its equipment, since many buildings are really old and are not refurbished by their landlords. Apart from that, do complete the classic checks I explained in the “10 flathunting tips” post, as well as the typical “Cortes” check – verify if you have a real supermarket or grocery store nearby, since it’s something hard to find in this centrical and touristic neighbourhood. If you want a first overview of Madrid neighbourhoods, I recommend you read this and look at the interactive map to understand where Madrid neighbourhoods are located and search “cortes” for instance.